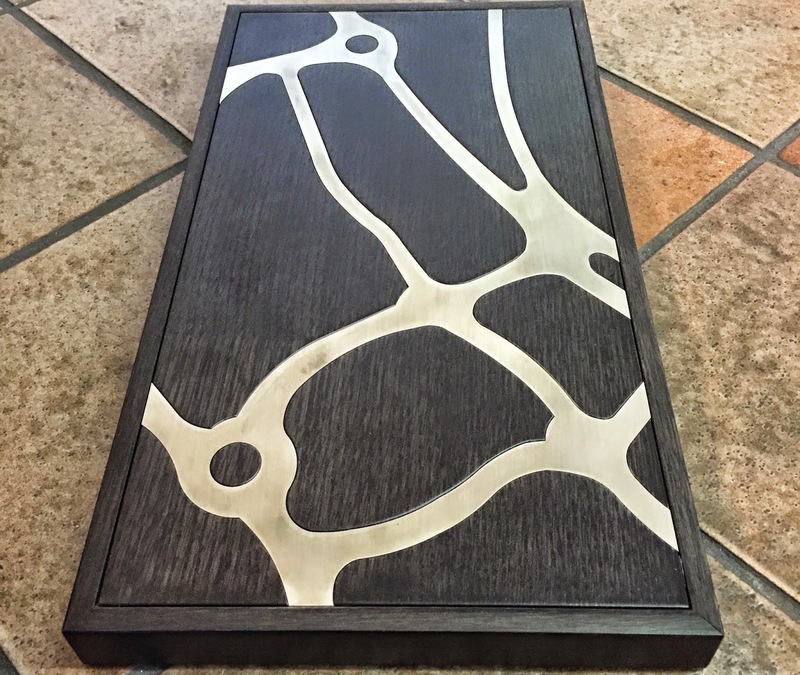 A unique object that will be part of a luxury piece of furniture and will decorate an elegant room in a big city of the Middle East area has been handcrafted in the Marinoni workshop. It is a conference table with a city pewter map. This custom-designed work has allowed us to express our pewter-creation and pewter-shaping skills. You can see the most important manufacturing process steps in the following video. We started with the laser cutting of the pewter sheets to obtain the map. The same map was also carved in a template to be used for the production, the transport and the final assembling of the map with the wooden part. 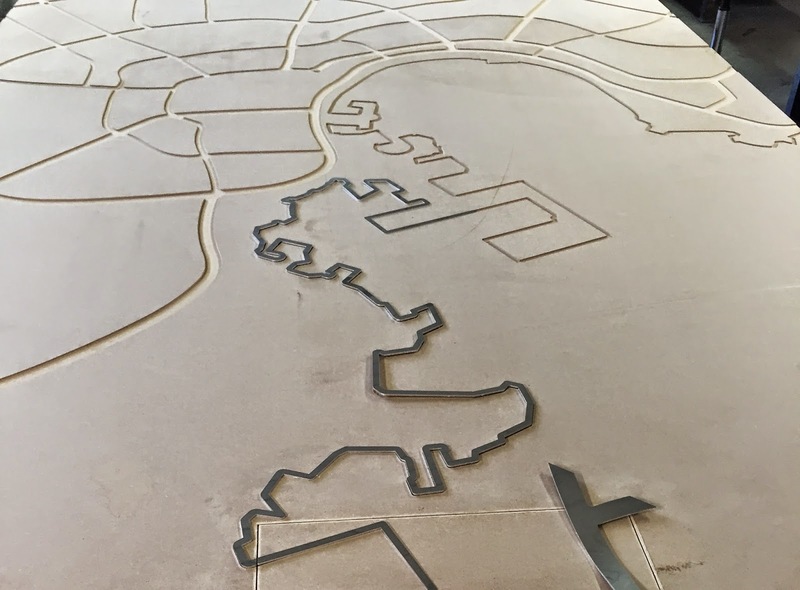 Due to its dimensions the map couldn’t be obtained as a single piece, indeed it was the result of a set of laser cut pieces that needed to be put together as a sort of puzzle. However these pieces weren’t ready at that step: they needed a meticulous hand work that enhanced pewter’s distinguishing features. We started by smoothing the edges. Afterwards the various pieces were put in the carved template to be joint by hammer soldering. The seams were then polished by manual milling. Hand filing work followed to finish off and make the seams look invisible. To complete the work the matte finishing was given with a manual sandpaper grinding. 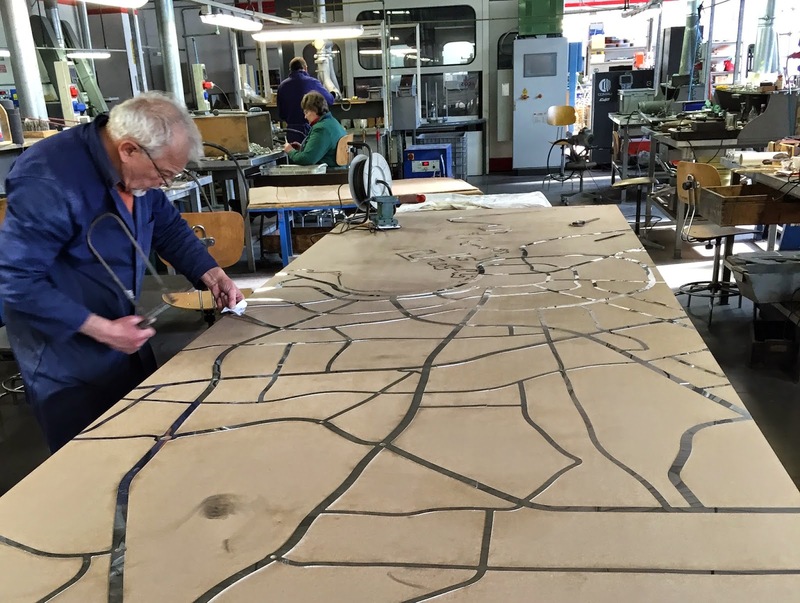 What you can see at the end of the video is a sample that reproduces a piece of the table that will house the pewter map. The real table is much larger, it is 1.4 meters wide and 4.2 meters long.